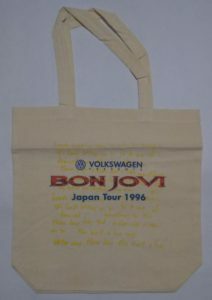 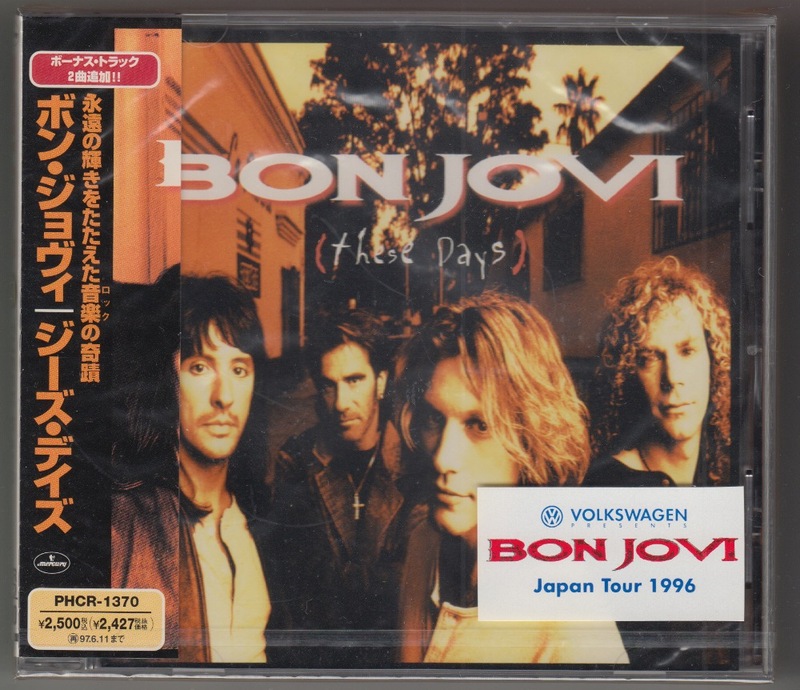 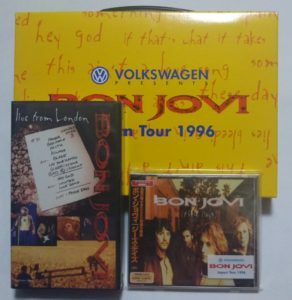 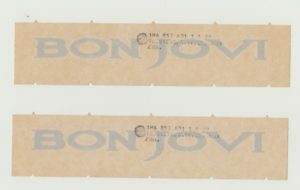 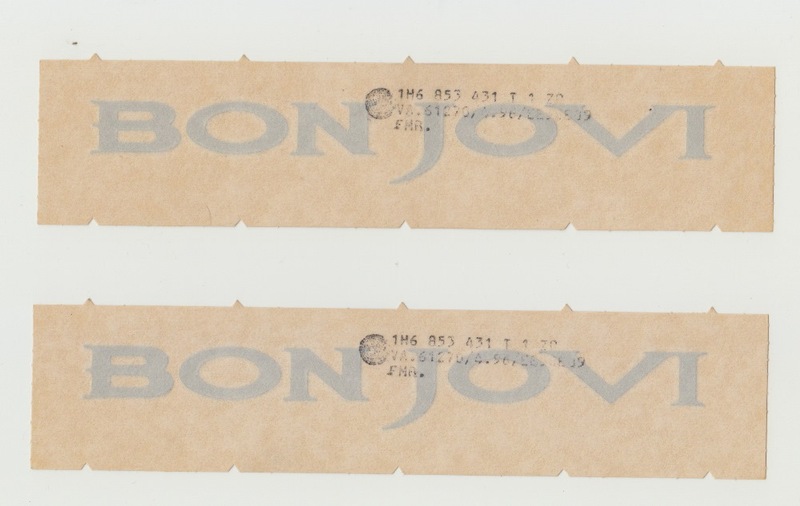 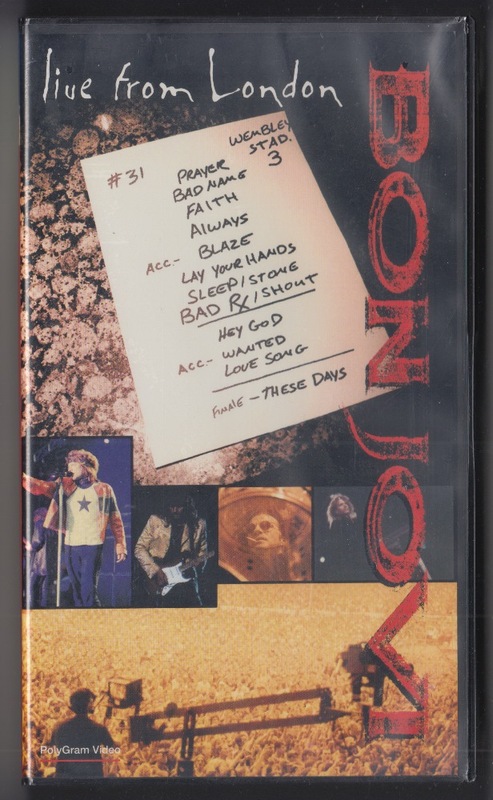 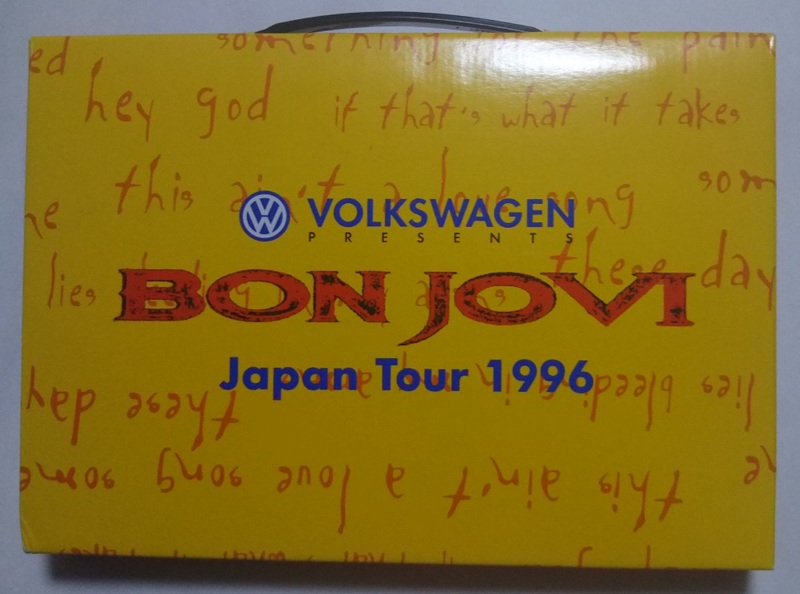 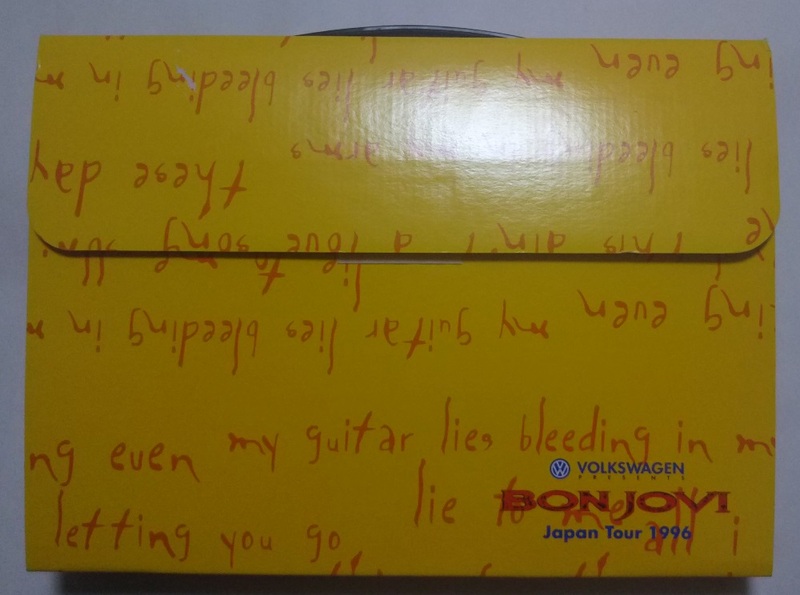 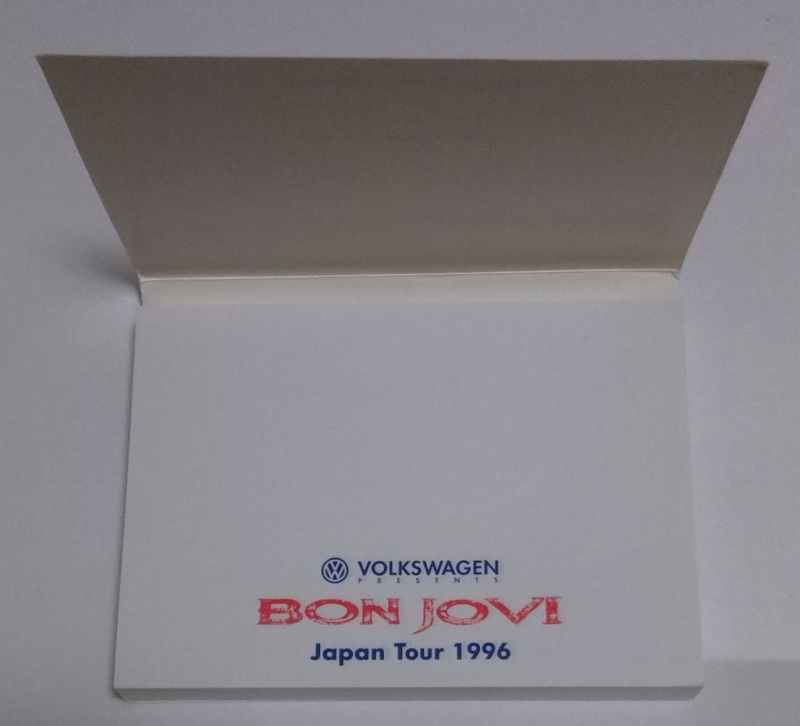 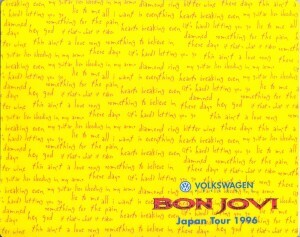 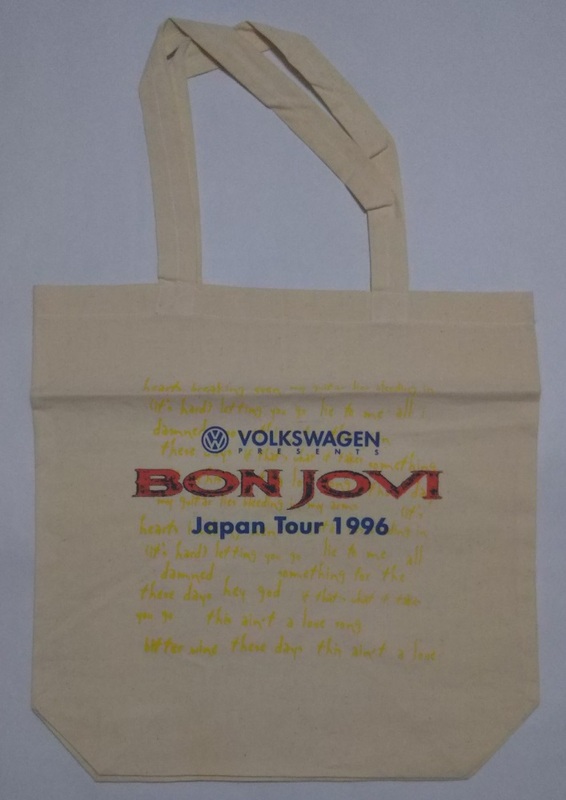 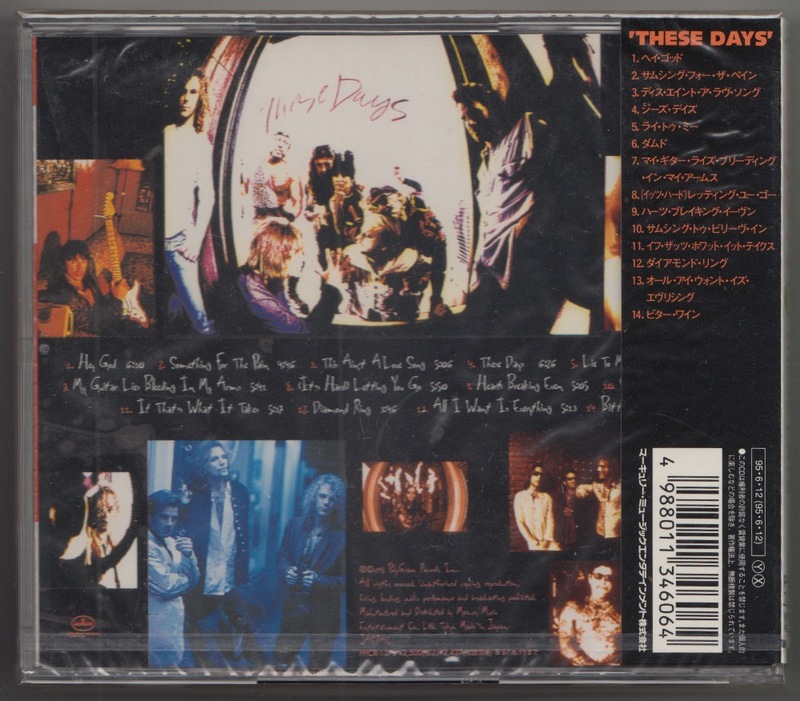 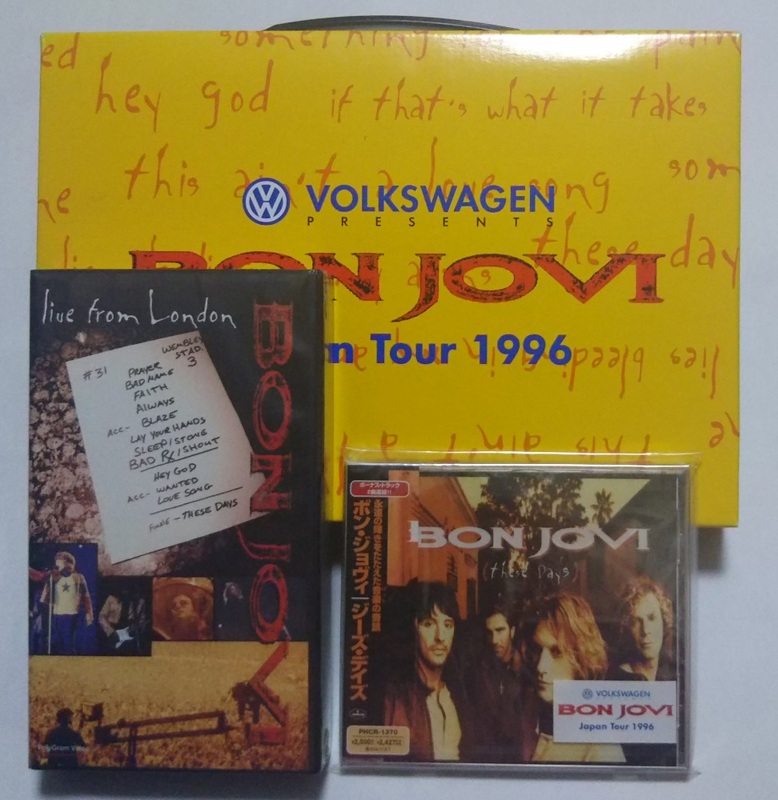 Memo Pad was produced by Volkswagen, which sponsored BON JOVI Japan tour 1996. 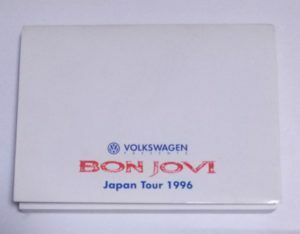 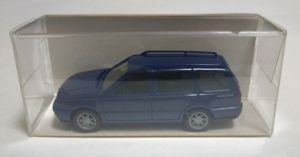 Ballpoint Pen was produced by Volkswagen, which sponsored BON JOVI Japan tour 1996. 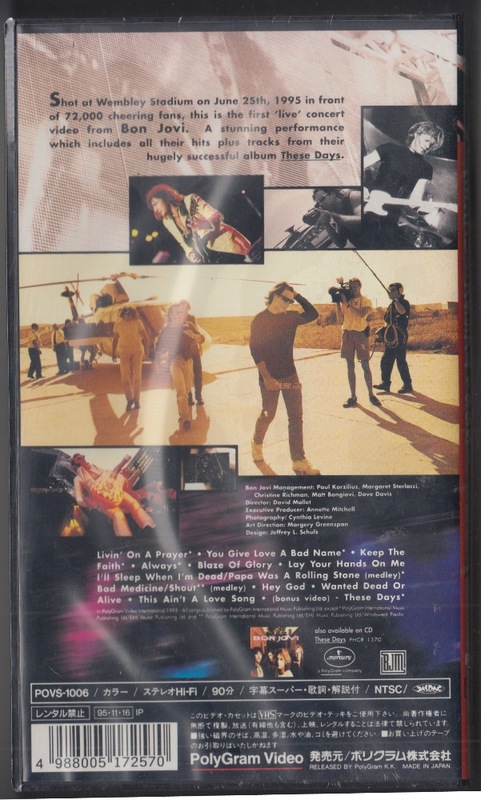 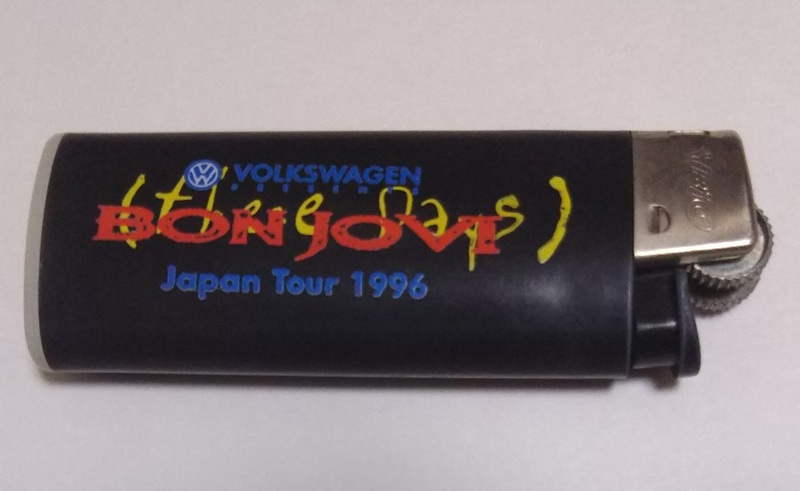 Lighter was produced by Volkswagen, which sponsored BON JOVI Japan tour 1996. 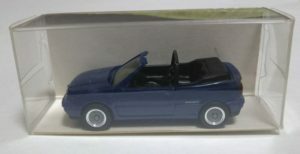 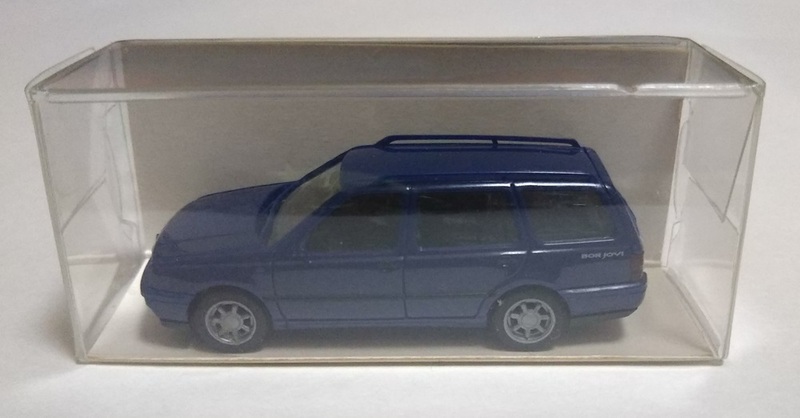 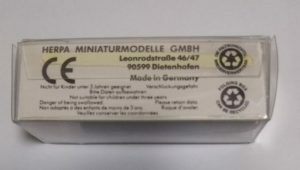 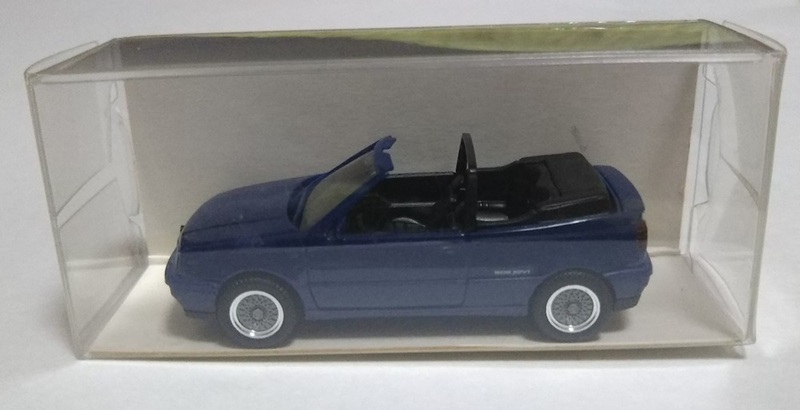 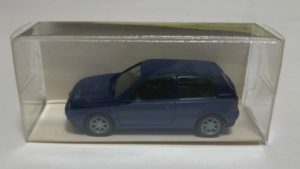 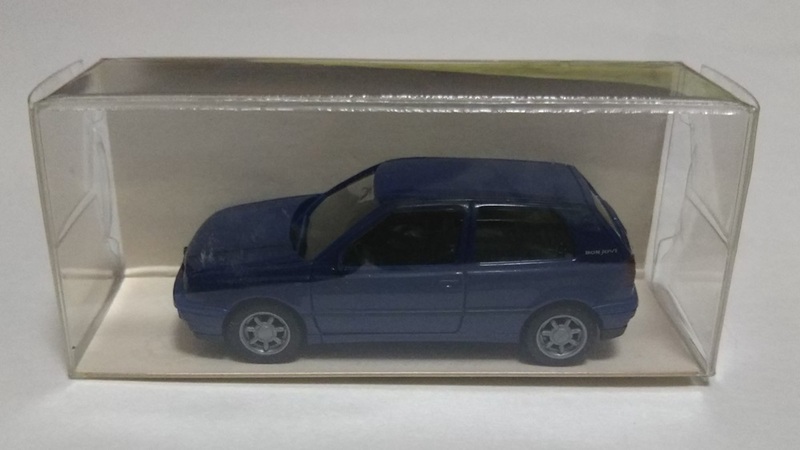 A minicar produced by Volkswagen, who sponsored the 1996 tour. 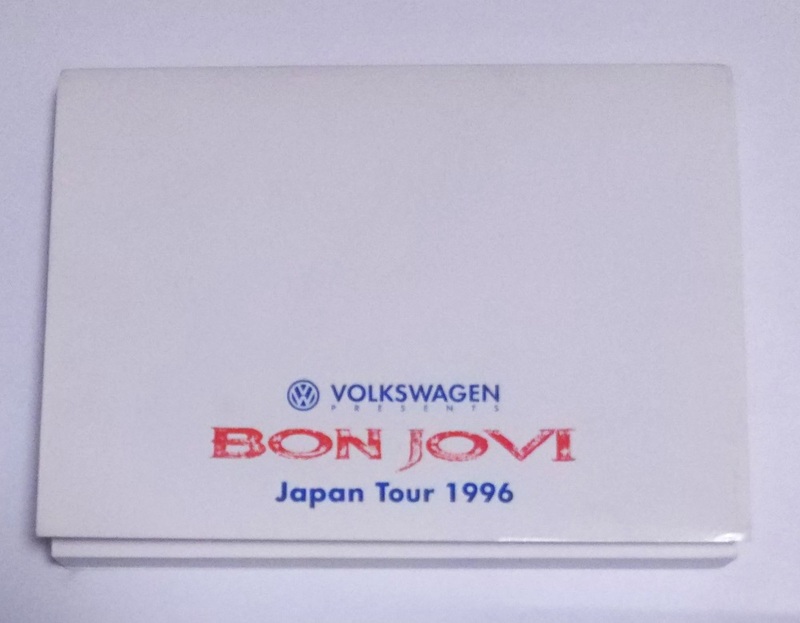 From the left of the first photo, Golf Wagon BON JOVI, Golf Cabrio BON JOVI, Golf BON JOVI. 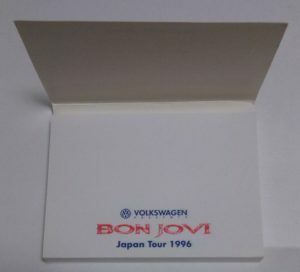 Mouse Pad was produced by Volkswagen, which sponsored BON JOVI Japan tour 1996. 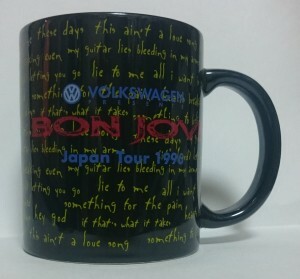 Mug was produced by Volkswagen, which sponsored BON JOVI Japan tour 1996.
title : VOLKSWAGEN PRESENTS BON JOVI Japan Tour 1996 Watch. 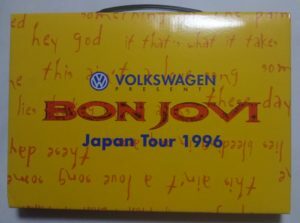 Volkswagen sponsored the 1996 BON JOVI Japan tour watch.